Welcome to your light and bright coastal retreat! 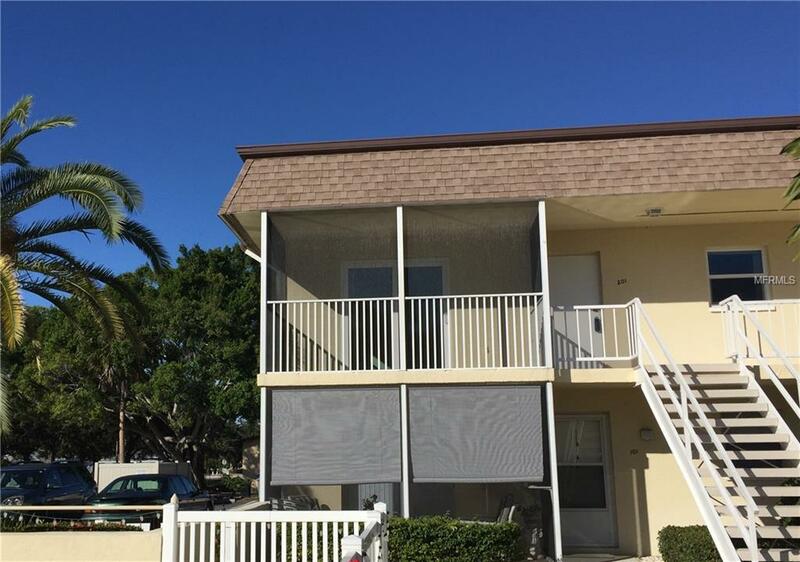 Live on Venice Island in this completely updated, 2 bedroom, 2 bathroom end unit condo with a covered SCREENED-IN LANAI. This updated condo is move-in ready, and perfect for those looking to get away from cold winters or as a year-round residence. Walking distance to Venice Beach, downtown restaurants, farmers market and festivals, the shopping district, Venice Theater, Concerts in Centennial Park, the Jetties, and more! Ideally situated with a view of the garden courtyard and pool where you can socialize and go for a swim in the pool. The lanai is great for enjoying the gulf breezes, watching a sunset with a view of the garden and pool. This condo is well maintained with many upgrades: new kitchen and appliances in 2015, Unit fully replumbed including both stacks replaced, both baths fully updated, ceramic and laminate floor throughout, PGT WinGuard impact resistant windows for peace of mind and energy savings. On-site storage locker, bicycle parking rack, and washers/dryers in the shared laundry facility. New hot water tank in 2015, New Appliances in 2015.